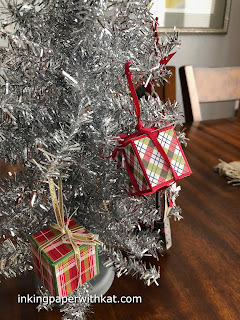 This little box hangs from the tree hiding a sweet treat. Little hands will love being able to open a small gift picked off the tree before Christmas. The box is easy to assemble and doesn’t require a lot of supplies. 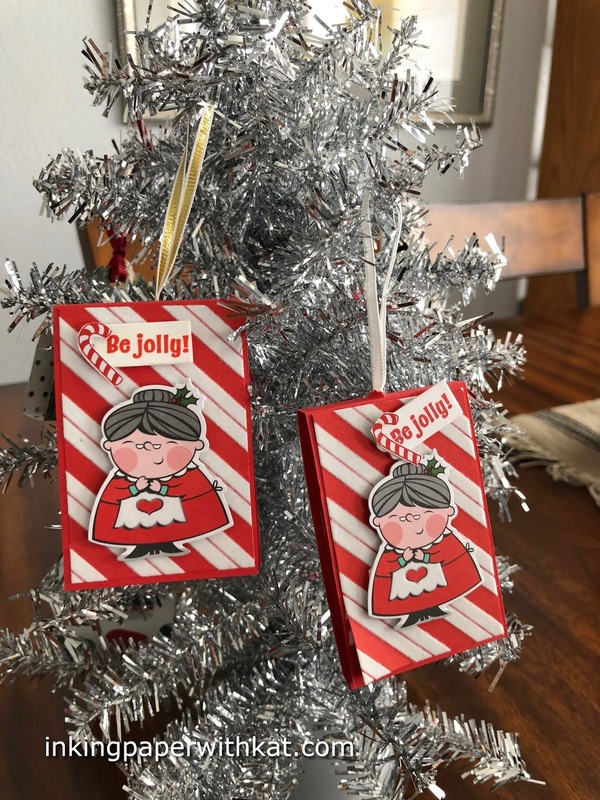 Little ornaments that hold a small treat are wonderful to have hanging on the Christmas tree. 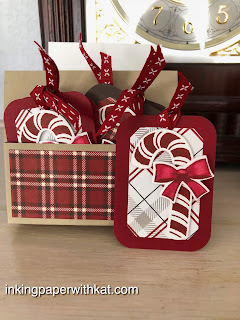 As guests leave a gathering you can invite them to select a small gift to take with them. These ornaments are so easy to make and with the mini candy cane inside are a wonderful treat for children. 3. Using the Framelits cut out Mrs. Claus and the small tag. 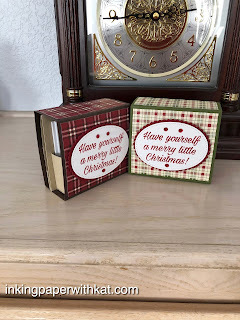 Here is a project designed to give as a gift prior to the holidays. 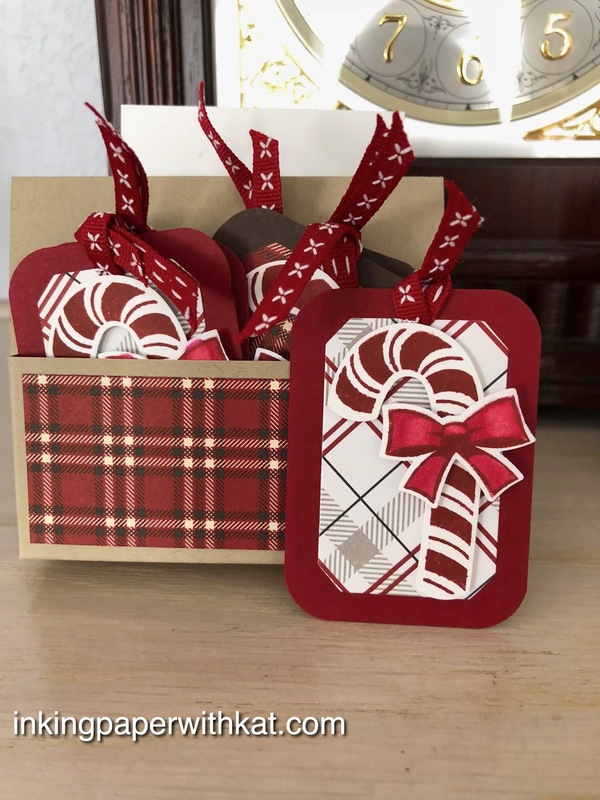 This three part series walks you through how to create a festive box that holds 6 3 x 3 gift cards and 6 tags for use when wrapping gifts. 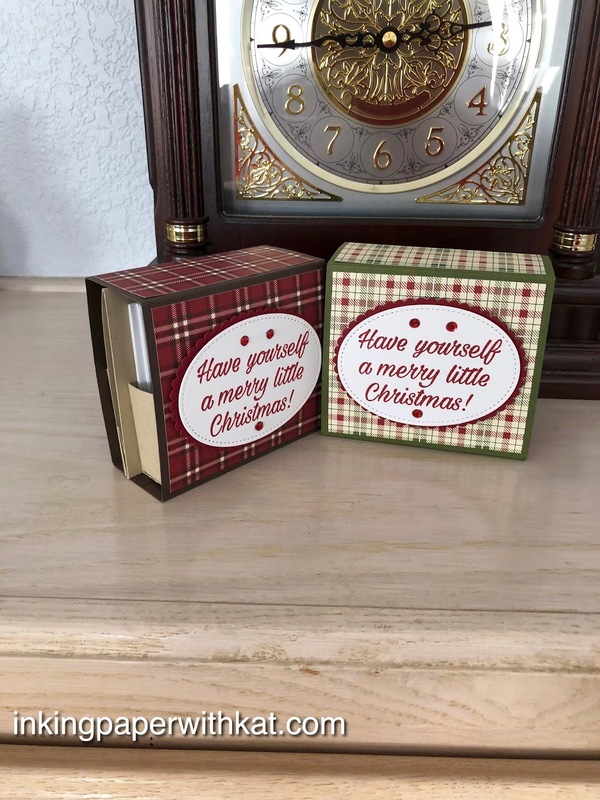 This is part 3 the Gift Tags. 2. Using the nested labels in the Frosted Bouquet Framelit set cut 6 of the smaller shapes from the DSP and 6 of the smaller shapes from Very Vanilla. 3. 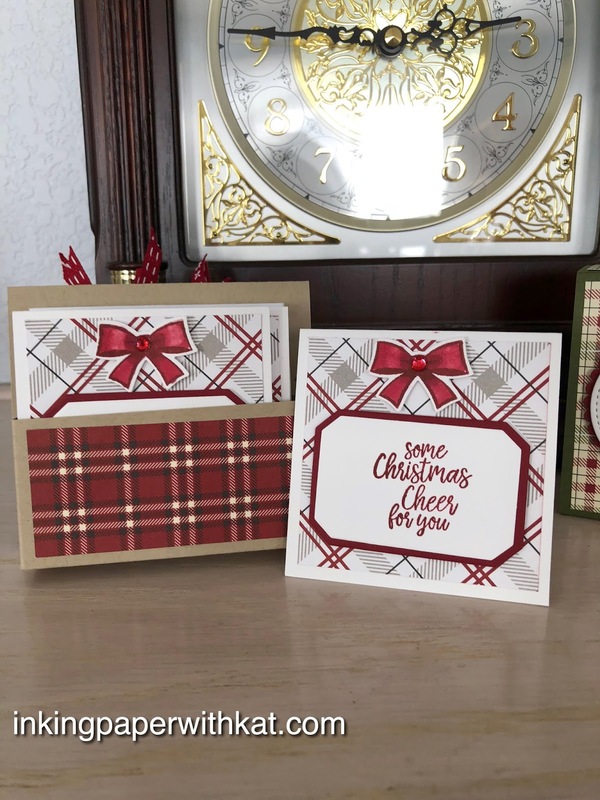 Stamp the bow and candy cane on white and punch out. 2. Using the nested labels in the Frosted Bouquet Framelit set cut 6 of the larger shapes from Cherry Cobbler and 6 of the smaller shapes from Very Vanilla.